Home » Food & Drink » Where To Eat? 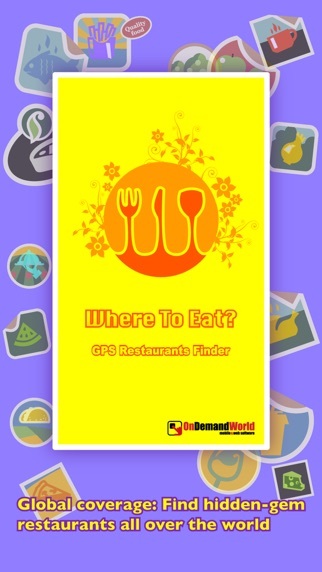 PRO - Find restaurants using GPS. 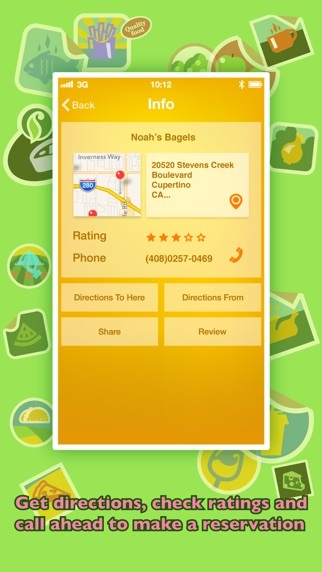 Well, this app does provide some minimal (extremely) information on where you could possibly eat. 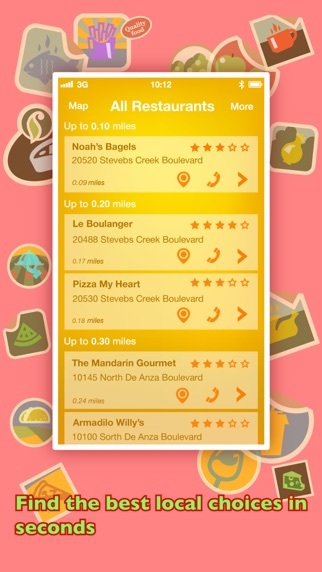 No information on if you would want to eat at any of the suggested spots. 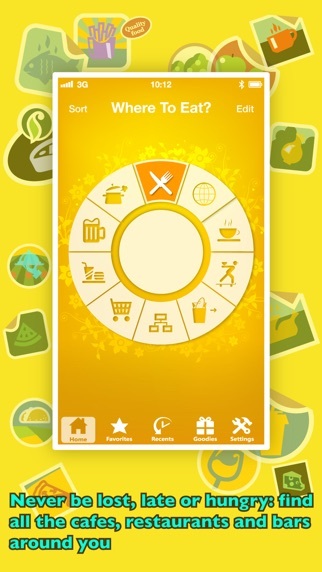 So if you are a "high risk" gambler, and wouldn't mind possibly getting so truly awful "food" roll the dice, this app might work for you. If you wish to assure the chance of getting something decent to eat, it is useless. Probably the worst app that I paid for, it doesn't work. Wasted $2.99. I've gone through a few iterations of "Where to eat?" The current version is faster and at least it doesn't crash on opening. That's a plus. Also a positive is the large variety of meal offerings the user can choose from. A negative, however, is that the restaurant reviews from the previous versions of this app seem to have disappeared from the app's database. Also, I have yet to able to find a review for ANY restaurant so far. Previously, I had suggested that instead of dropping the ubiquitous red pins when food-type matching restaurants are found in an area, why not use a different colored pin when a restaurant has a review? 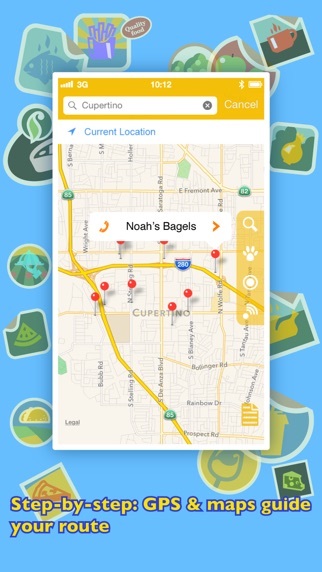 Wouldn't this be infinitely more helpful to the end user and might just bring this app up to the level of Yelp. Used to love this app, but doesn't work at all any more. Awesome. Just paid $2.99 for an app that does absolutely nothing. Even when I'm connected to wi-fi I get NOTHING. This is by far the worst app I've purchased. I want my money back. Nice interface, nice design, but it just works poorly. I hope you fix all the issues. The app doesn't even work. Don't buy!! !